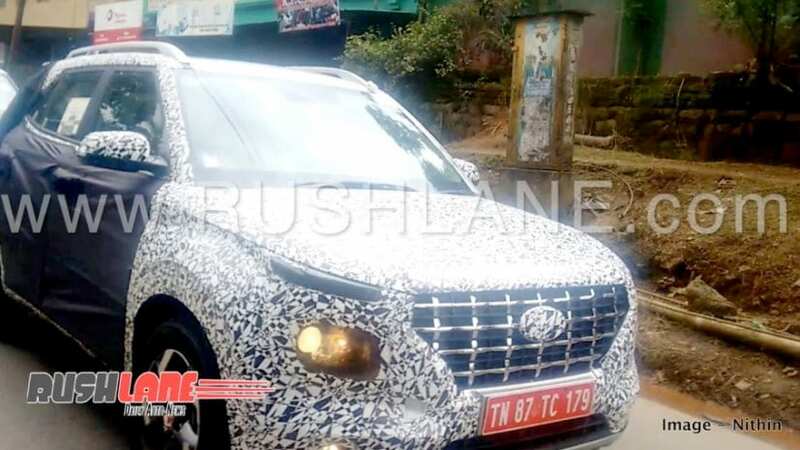 The upcoming Hyundai sub-4-metre SUV has been spotted in India for the first time, and the SUV appears to borrow a bunch of visual cues from its older siblings, Creta and Santa Fe. 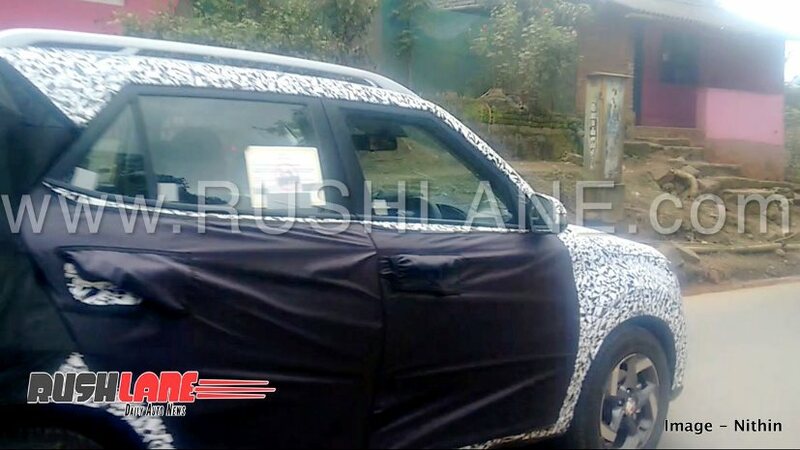 A prototype model of Hyundai's upcoming sub-4-metre SUV was recently spotted testing in India for the first time. Based on the Carlino concept that was showcased at the 2016 Auto Expo, it will be the first subcompact SUV from Hyundai India and will rival the segments top-seller Maruti Suzuki Vitara Brezza. The new Hyundai Carlino appears to have borrowed a lot of its design and styling cues from its older siblings, the Creta and Santa Fe, the front section, especially is similar to the new-gen Santa Fe. The SUV appears to be an early prototype model, and despite the heavy camouflage, the exposed bits reveal a lot about the subcompact SUV's exterior styling. Up front, the SUV gets the new cascading grille with square pattern and a disguised Hyundai logo at the centre. In line with Hyundai Kona and 2018 Santa Fe, the new sub-4-metre SUV will also adopt the new split headlamp design, with sleek LED daytime running lamps positioned above, closer to the bonnet, and the large projector units positioned a bit lower. From the sides, the new Hyundai SUV looks like a baby Creta, especially the top half, however, the SUV sub-4-metre size is pretty evident from it silhouette and short overhangs. The SUV also features large silver roof rails, a set of new sporty alloy wheels, and some heavy pseudo cladding at the back, to disguise the rear design of the SUV. While it's too soon to comment on the technical specs and engine details, the Carlino-based Hyundai subcompact SUV is likely to be based on a stretched Grand i10 platform, and it will also have parts in common with the i20 and Creta, possible the engines as well. So, it's possible the SUV will feature the 1.4-litre CRDI diesel engine and the 1.2-litre Kappa petrol under the hood.